Good companies lead design! There, design is not “styling”, but a core competence that is well-developed throughout the organization. Only in this way can companies inspire their customers and stand their ground against the competition. In order for design to develop this potential, management must understand, live and lead design. 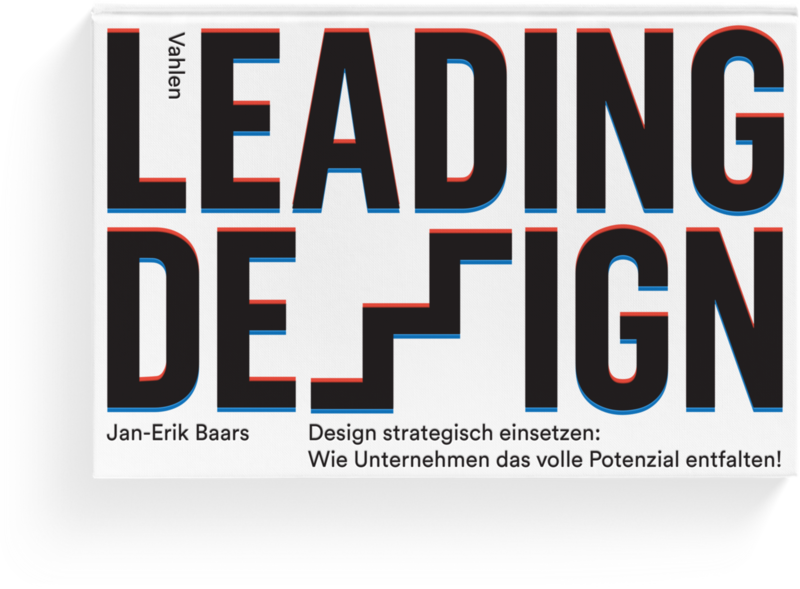 This book provides executives with the necessary knowledge and effective tools to set up and manage design strategically. “Jan-Erik encourages us – with a professional process that every executive can follow – to venture into a human-oriented design company. But it is no longer an option not to go along this path. Design and innovation are the only effective elements of a winning corporate strategy, as they establish the link between us humans and the technical environment we create. This also applies to the use of resources within a more sustainable and economic model: we must produce one third less globally and offer more value to increase profits – also to improve the pay and physical working environment of employees. The arguments that “Change by Design & Innovation” is costing too much are naive and may be costing many companies their existence. Successful design companies – such as Apple or Porsche – have designers at the top of the company.